+I've heard really great things about 13 Little Blue Envelopes & I believe the sequel, The Last Little Blue Envelope, was released April 26th so I have to catch up :). 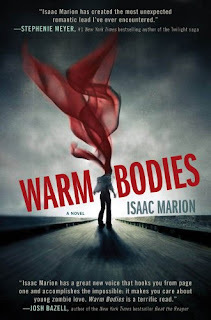 +I already read & reviewed Warm Bodies here. i've had 'blue envelopes' for awhile, I still need to read it! I still need to read 13 little blue envelopes but looking forward to what you'll think of it. 13 Little Blue Envelopes is really fun, enjoy! Warm Bodies looks really good! It sounds kinda creepy, especially the title! :L Happy reading! 13BLE's is pretty good and a must if you're a Maureen Johnson fan. I have the same book buying problem. Lately I've had a lot of vet bills, so not so much book buying for me lately. My suggestions are the library and used bookstore. It is especially nice when your used bookstores will give you credit to buy books when you sell some to them. I just recently read 13 Little Blue Envelopes and really enjoyed it. I hope you like it! Oh 13 Blue Envelopes looks like a winner. Cool, enjoy! Great books this week. 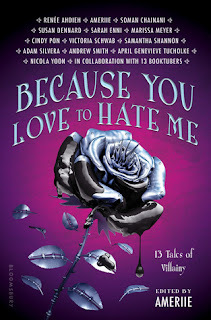 I loved 13LBE I have the sequel on my tbr pile. I have 13 Little Blue Envelopes, and I've heard wonderful things about Warm Bodies! @everybody else - Looks like 13 Little Blue Envelops is quite a hit ;). Got to get on that!